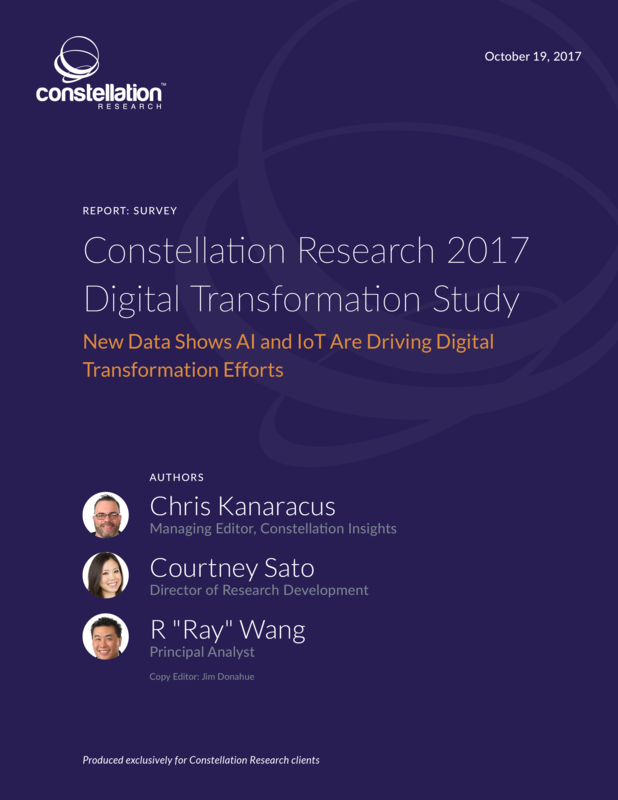 Constellation Research 2017 Digital Transformation Study | Constellation Research Inc. This report presents findings from the 2017 Digital Transformation Survey conducted by Constellation Research. Constellation asked survey respondents about the key drivers for their current digital transformation projects, both in terms of process change and IT investment, particularly in the Internet of Things, artificial intelligence, and synchronous ledger technologies. One hundred five people completed the survey during 2017. Responses were collected on Constellation’s website and ZDNet.com. Responses were also collected from Constellation’s subscriber base.